The marchers left Yetholme Community Hall about 6.10 am. They passed “Brookland Park” where the Coo-ees dined the evening they stayed in Yetholme in 1915. There had been some more rain overnight, and there was a light shower as they left Yetholme. They passed through Sunny Corner State Forest on their way to Meadow Flat. A service was held with the school children from Meadow Flat Public School and some members of the local community at the Meadow Flat War Memorial at 10 am. This war memorial was unveiled in September 1918, and has the words “Coo-ees rested here” engraved on one of the sides. On the way from Meadow Flat to Portland a kind couple stopped their car and passed out plastic bottles of water to the marchers, which was very much appreciated. They they had seen the marchers on the road, then drove into Portland and bought a number of packs of bottled water, then drove back out to meet the marchers. 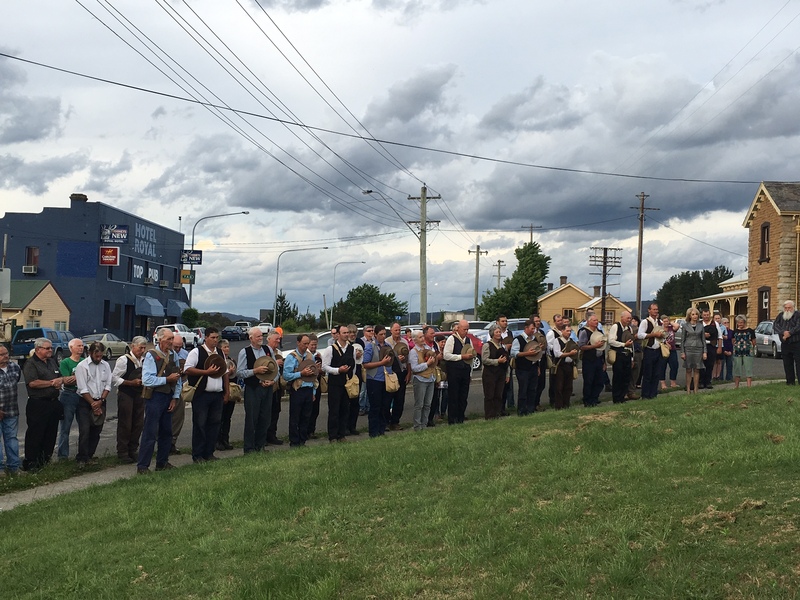 The marchers arrived at Portland about 1.30 pm, where they had a group photo taken in front of the Coo-ee mural painted on the side of the Portland RSL Club. 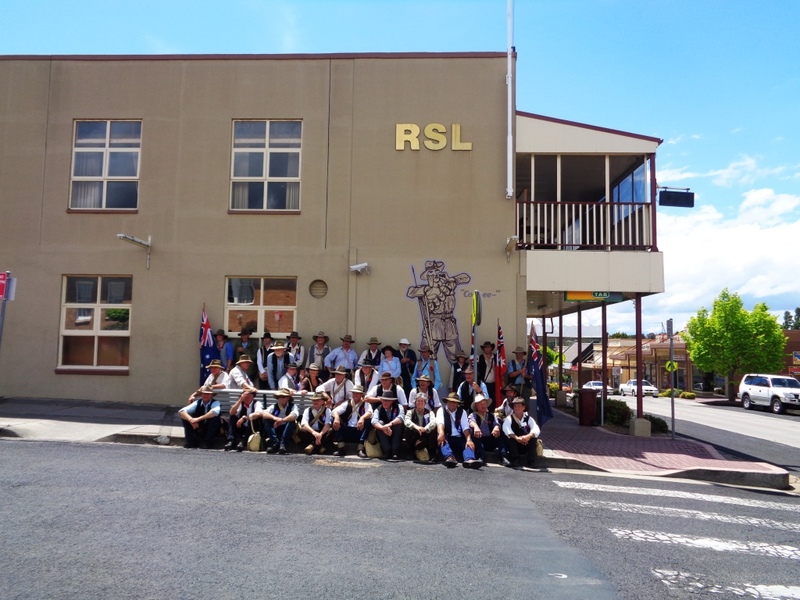 A short commemorative service was held at the Portland RSL Club, before the marchers were provided with a fine buffet dinner. They left Portland at 3 pm, and on the way a lady supplied a box of iceblocks that were eagerly consumed the marchers. 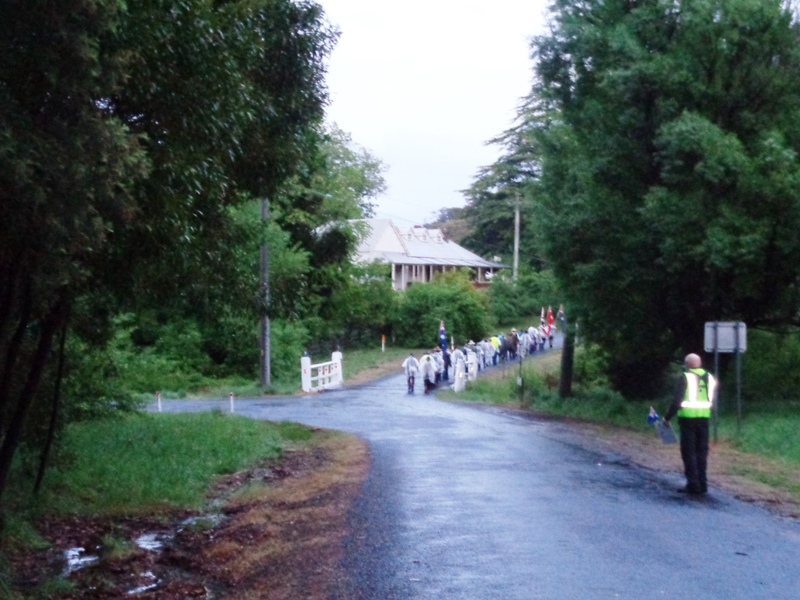 The marchers arrived at Wallerawang about 5.30 pm. 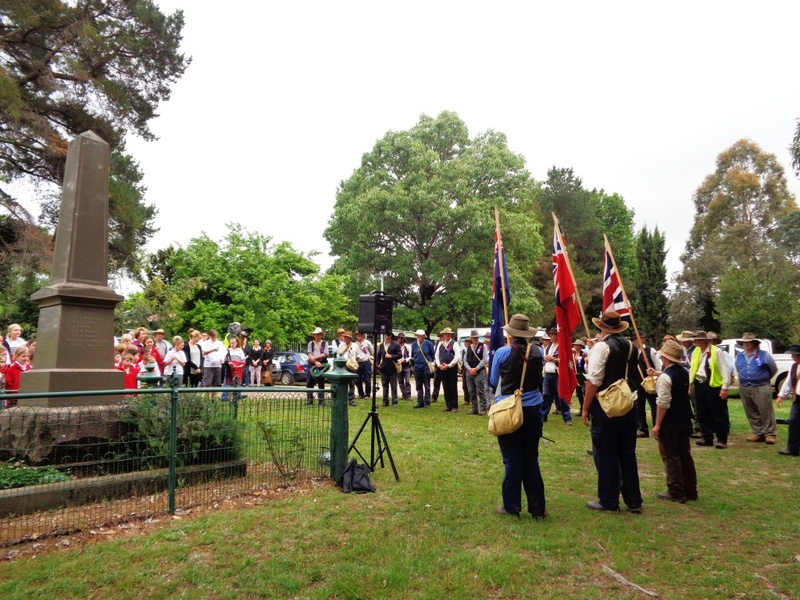 A short commemorative service was held at the Wallerawang War Memorial, where the Mayor of Lithgow, Cr. Maree Statham welcomed the marchers. 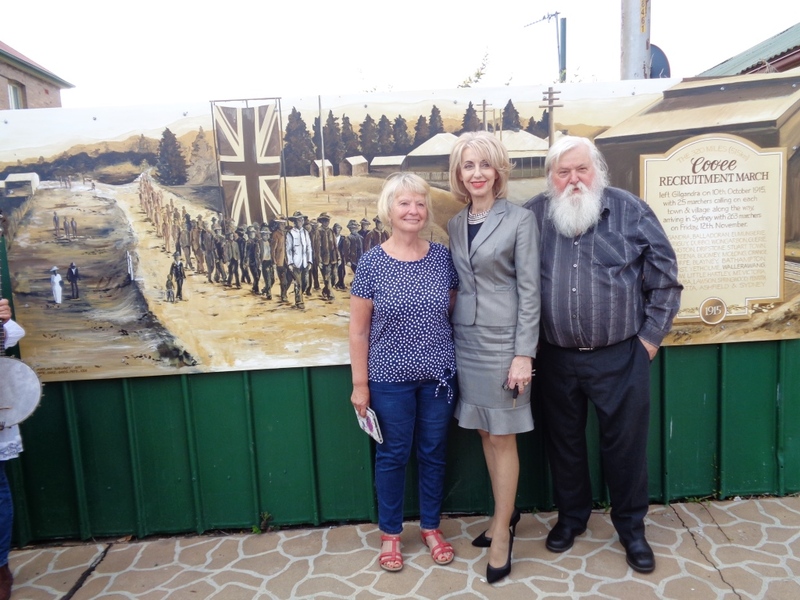 A dedication ceremony was then held for new mural based on a photo taken of the Coo-ees at Wallerawang in 1915, which was dedicated by the Mayor of Lithgow, and blessed by the Reverend Graeme Yager from St Ambrose Church in Gilgandra, who is accompanying the march. The marchers then had diner at the Commercial Hotel in Wallerawang. Approximately 37 km was travelled by the marchers today, which is the longest daily distance to be covered on the march. This entry was posted in Memorials and tagged Meadow Flat, Portland, Wallerawang, Yetholme. Bookmark the permalink.